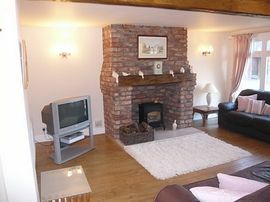 Court Lodge is a charming detached barn conversion set in the tranquil hamlet of Ledsham on the Wirral Peninsula. The historic City of Chester is six miles to the south and Ellesmere Port four miles to the East with many attractions including Cheshire Oaks Designer Outlet Village and the Blue Planet Aquarium. 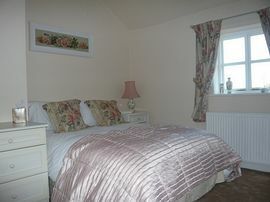 The cottage comprises of one double bedroom, one twin bedroom (which can be reconfigured to create a king size bed) and a double sofa bed in the lounge. The bathroom has a full size bath and separate power shower enclosure. 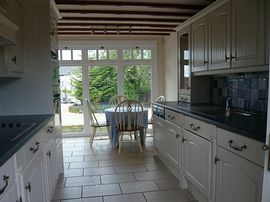 There is a kitchen diner which includes the following integrated appliances; fridge freezer, oven, microwave, dishwasher, washing machine, tumble dryer and ceramic hob. There is a downstairs WC. The lounge has a feature brick fireplace with an electric feature stove for the chilly winter evenings. Central heating is fitted throughout which together with full double glazing ensures that your stay is warm and cosy whatever time of year you should choose to stay. The cottage is furnished in a comfy traditional country style but incorporating modern conveniences including wi-fi and digital TV. Outside there is ample off road parking and to the rear a private patio area with barbeque and garden furniture all surrounded by mature gardens. A cot, high chair and stair gate are available for guests use. 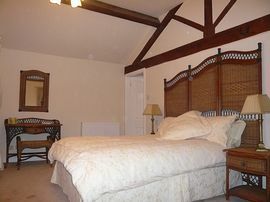 Court Lodge is available on either a weekly basis midweek break or a long weekend basis. All bedding and towels are provided and a welcome pack ensures that you you have the essentials including a bottle of wine for your arrival. We are able to offer Court lodge as serviced accommodation for business users, with discounts available for stays of over two weeks, please contact us for further details. 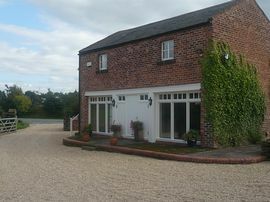 Tranquility yet only minutes from Chester & Ellesmere Port. Follow the A540 passing over the A5117 (new overpass) past the Yacht Inn on the left hand side the take second right into Chapel Lane after 750 yards the road enters the village and Court Lodge is on the left hand side where the road bends sharp right. Spring: weekly rates from £450:00 p/week to £495:00 p/week. Summer: weekly rates from £495:00 p/week to £595:00 p/week. Autumn: weekly rates from £450:00 p/week to £495:00 p/week. Winter: weekly rates from £450:00 p/weep to £695:00 p/week.